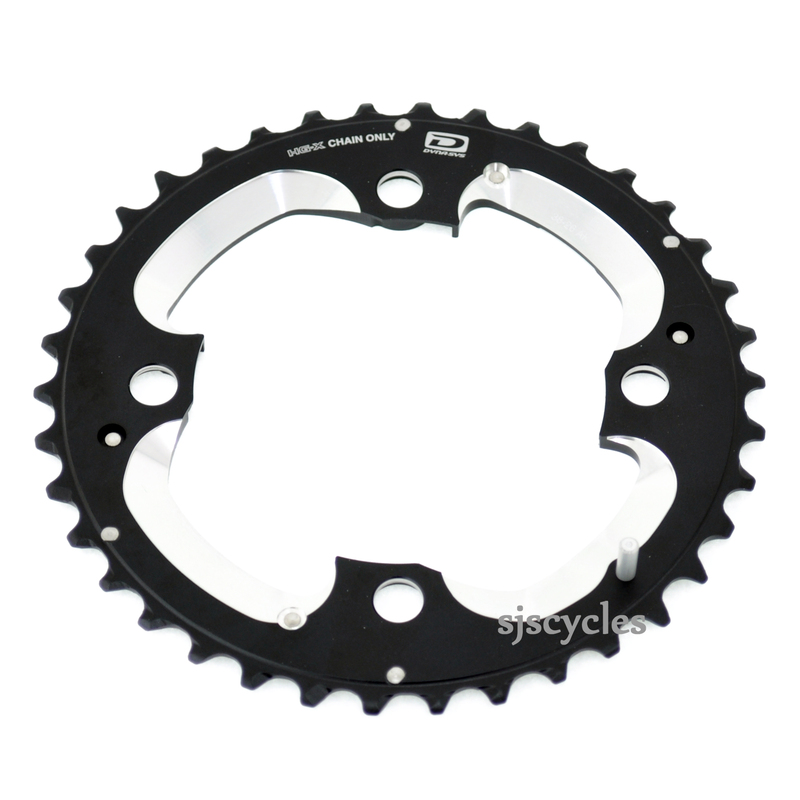 This Outer Chainring can only be used with Shimano Deore XT FC-M785 10spd Double Chainsets with a 38-26T set up. What Is Difference From The Slx Model Please. I have a new triple 10 speed SLX. Have removed the OUTER 48 ring permanently so now it is a 26/36 DOUBLE crankset. I wish to change it into a 26/38 double chainset. Can you supply me with a suitable 38 outer ring, please? Thank you and best wishes, K.S. This chainring won't fit with you chainset properly I'm afraid. Although you have converted your chainset to just have two rings, what is now your outer ring is still sat in the middle position on the crank arms so still needs to be a middle type chainring. This XT ring is designed as an outer on a dedicated double chainset so won't sit properly in the middle position on your cranks. To get a suitable ring you'll need to select one of the few middle 38T rings we stock from either Middleburn or TA.